The TEMPTU 2.0 Airbrush Makeup System came out ahead in every key metric: durability of makeup, quality of air compressor and brush, expandability, ease of use, and value. Sometimes, you do get what you pay for, and we found this to be the case with airbrush makeup kits. Airbrush makeup is one of those things that everyone has heard how much better it is but most are reluctant to try, let alone making the switch. What we heard about airbrush makeup is that when we see celebrities looking as if they’re not wearing makeup but have perfect skin, that’s airbrush makeup. Or how televisions are so high-definition these days that you can see the imperfections of traditional makeup. 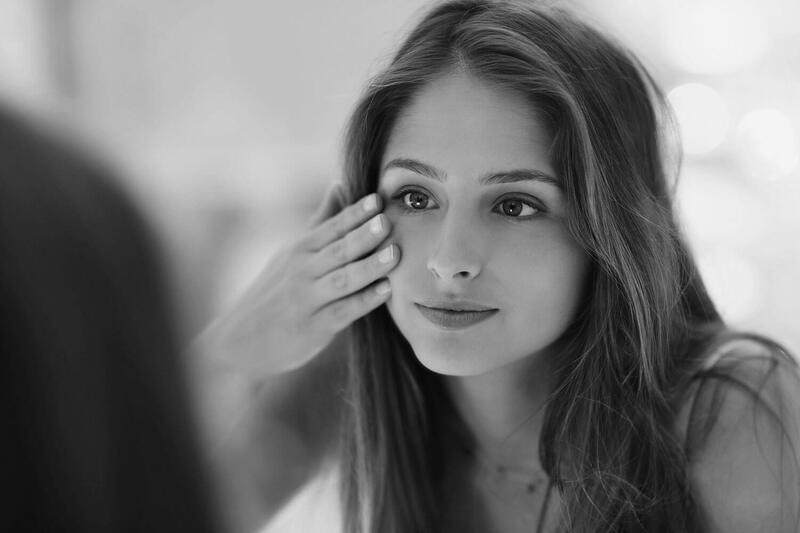 What it really means is that airbrush makeup is applied in a fine mist – air is the brush and it’s only touching your face. It’s not unlike the difference between spray painting and painting with a brush. Airbrush makeup also lasts all day. No touchup is needed and it doesn’t run, especially the silicone-based makeups. This is why airbrush makeup is getting more and more popular with brides and nuptial services. The drawback is airbrush makeup is not as widely available. It looks as if you’d need a professional makeup artist because it looks kind of scary, or at least requires lots of practice, to aim a pistol-shaped airbrush at oneself. It’s easier than you think. Read this write-up and then watch a quick tutorial on YouTube. The Airbrush Cosmetic Makeup System by Art of Air is being marketed as an ideal starter kit for use at home and also for professional makeup artists on the go. The system includes 6 bottles of fair- to medium-tone foundation and a bottle each of anti-aging moisturizing primer for use before or after makeup, tropical bronzer, papaya blush, and pearl shimmer highlighter. In other words, there’s everything for a full makeup, though many beginners use airbrush for the foundation and everything else by traditional means. The makeup is water-based so it doesn’t have to be removed with special cleaners. The tools are a mini air compressor with 6ft air hose and a single-action gravity-feed airbrush with a bottle of cleaner. The air compressor features a continuously variable knob for adjusting the air pressure to the airbrush. The use of gravity feed system means that you can mix and match the foundation colors in the holder. The rating of the air compressor is not specified because it is lower than the professional level of 30 psi or higher, but no matter, this compressor and airbrush works well. Higher pressure increases speed of application so unless you’re planning to airbrush your whole body this system works well enough. 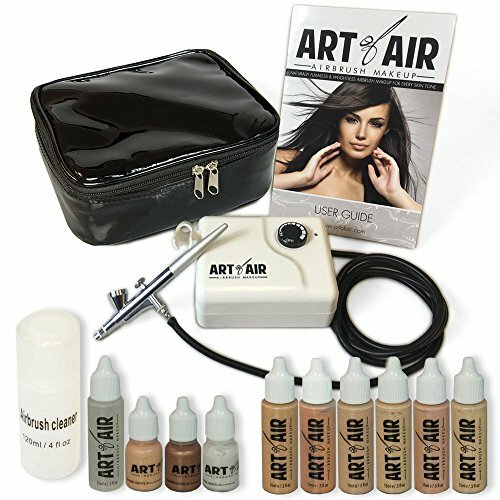 Art of Air sells bottles of makeup, air compressor and airbrush individually so you can order replacements should you ever need them. The Aeroblend Airbrush Makeup Starter Kit comes with 5 bottles of medium-tone foundation, 2 bottles of blush, and one bottle each of bronzer and highlighter. The air compressor is as quiet as the one from Art of Air so they have similar rating. The makeup is also water-based so no special remover needed. Since only medium-tone foundation colors are included, the company is willing to send samples of other shades free of charge. However, Aeroblend does not sell the compressor and airbrush individually. The airbrush is prone to clogging and failure especially if you don’t clean it after use. Unlike the Art of Air, this kit does not include a cleaner for the airbrush but it does come with a one year warranty. 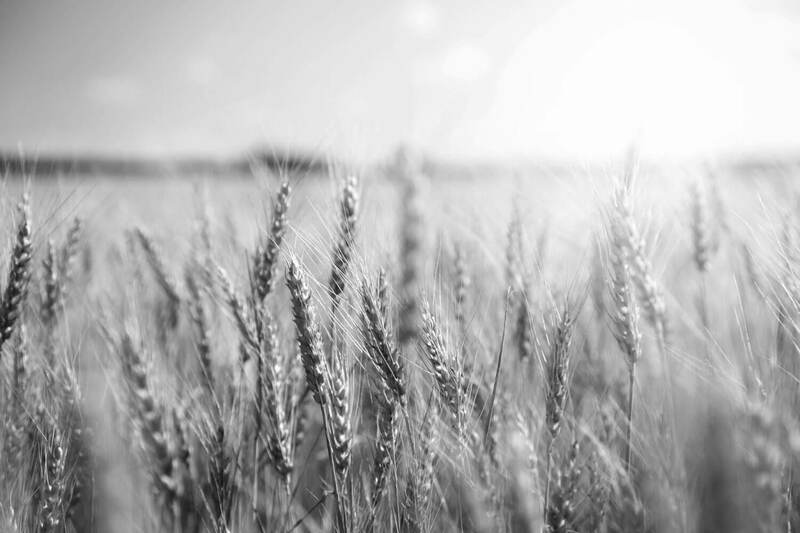 The makeup is formulated and made in the USA. 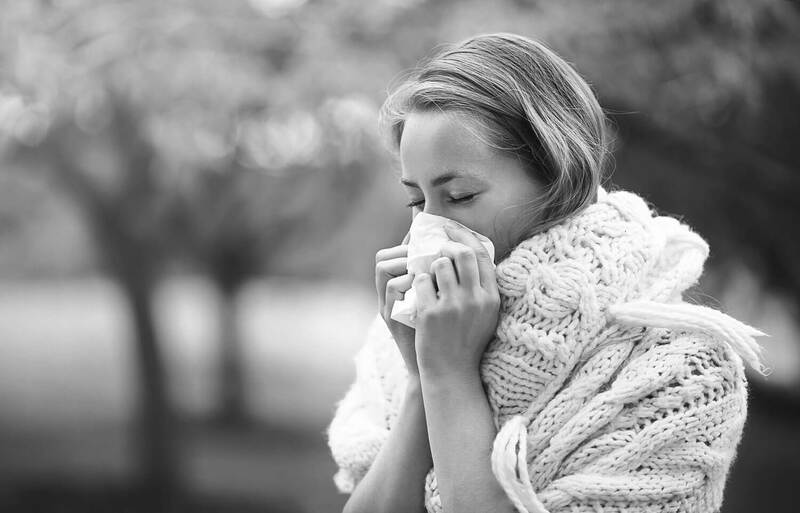 Aeroblend claims to use the highest quality pigments, botanicals and ingredients, and so far there hasn’t been any complaint of allergy or irritation. No instruction is included but you can find lots of useful video tutorials on Aeroblend’s website. This Aeroblend airbrush makeup kit works great and fast. With practice your makeup will take a fraction of the time it used to take. A regular layer of airbrush makeup looks natural as if you’re not wearing any makeup, and a thick layer of airbrush makeup looks like a thin layer of traditional makeup and it covers imperfection just as well. 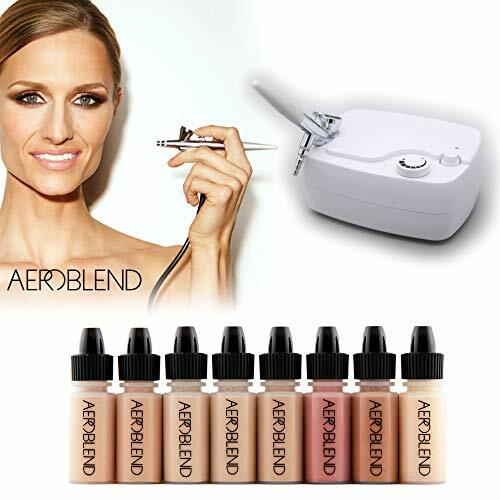 The Aeroblend Airbrush Makeup Starter Kit comes is priced right – less than $100 including shipping. This is more affordable yet will make a bigger difference than designer brand traditional makeup. TEMPTU is perhaps the most popular brand of silicone-based airbrush makeup. 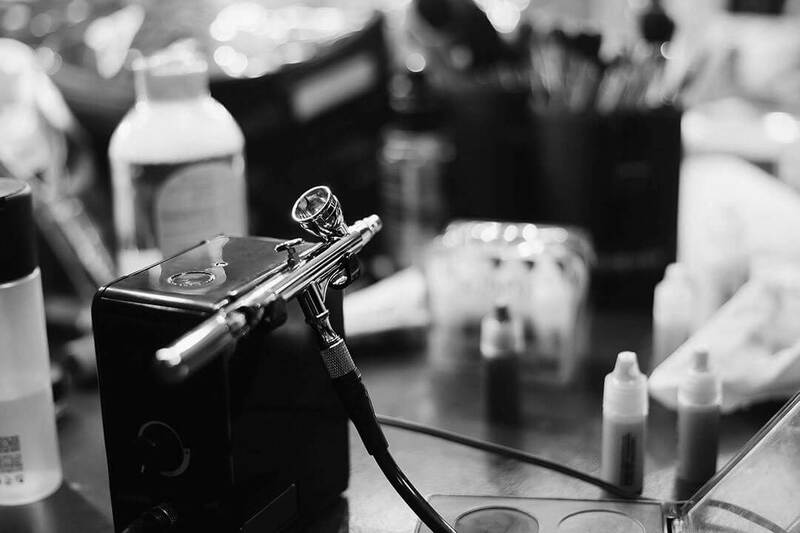 Silicone-based airbrush makeup is even more long-lasting and resistant to water and smudge but it would require professional-strength compressor and airbrush to apply. This is exactly what you get with the TEMPTU 2.0 Premier Airbrush Makeup Kit. This starter kit is called TEMPTU 2.0 for the fact that it comes with the TEMPTU Airbrush Makeup System 2.0 comprising the entry-level TEMPTU air compressor and SP-40 airbrush. Although an entry-level air compressor, it is capable of up to 30 psi maximum pressure which makes it suitable for minor body airbrushing. This airbrush makeup kit comes with a starter set of 12 bottles of foundation colors only. Blushes, highlighters and others can be purchased separately later on. As mentioned earlier, many newcomers to airbrush makeup use it for foundation, to be combined withtraditional makeup such as concealer under and blush on top of the foundation. 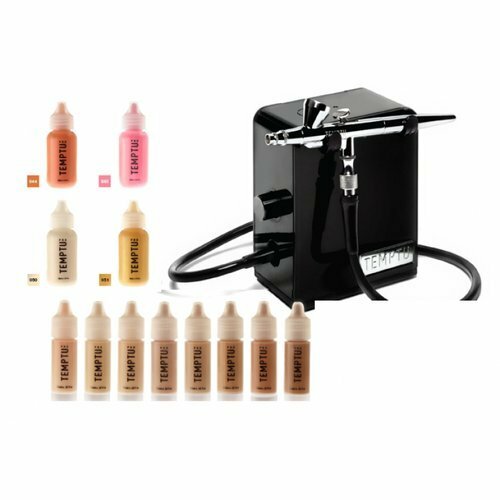 This TEMPTU airbrush makeup kit is more than twice as expensive but it comes with many more foundation colors to fit all skin tones. In fact, the TEMPTU 2.0 compressor and airbrush alone are worth more than the Art of Air and Aeroblend kits. The silicone-based airbrush makeup is also more durable and the kit comes with a bottle of remover and an airbrush cleaning kit. Everybody who tried airbrush makeup ended up loving it except those who find it hard to use and are impatient about it. The Aeroblend airbrush makeup kit is on sale at the time of this write-up which makes it a choice for those on a strict budget. The Aeroblend airbrush can be washed with water and it’s less prone to clogging than the Art of Air. The best airbrush makeup kit is the TEMPTU 2.0 Airbrush Makeup Kit. 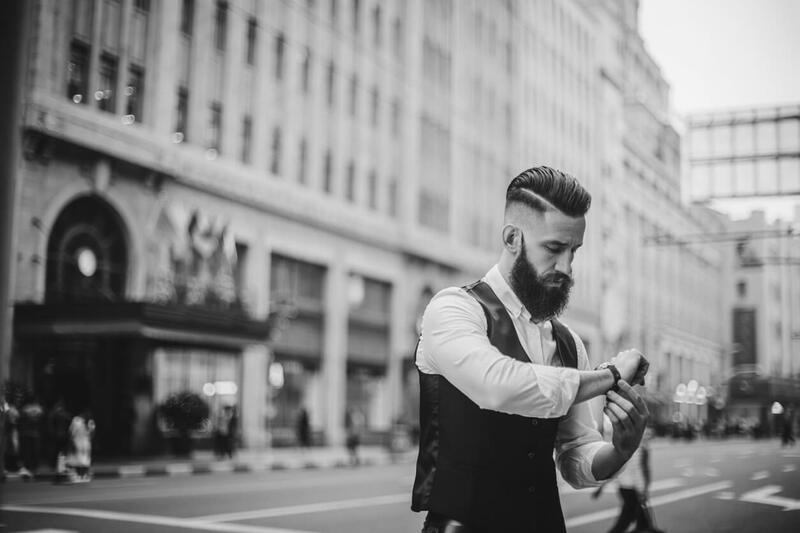 It is on the expensive side but just think about having makeup that can last all day and is completely impervious to sweat, and it takes less time to put on to boot. TEMPTU also has the best selection of colors. There are sets of TEMPTU blushes, highlighters, adjusters, concealer and more that you can buy in the future. Should you be allergic to silicone-based makeup or find it a hassle to remove, TEMPTU also carries water-based airbrush makeup and dark alcohol-based colors for makeup and temporary tattoos.